Two Hundred a Day is a podcast by Nathan D. Paoletta and Epidiah Ravachol. We are exploring the intensely weird and interesting world of the 70s TV detective show The Rockford Files. Half celebration and half analysis, we break down episodes of the show and then analyze how and why they work as great pieces of narrative and character-building. In each episode of Two Hundred a Day, we watch an episode, recap and review it as fans of the show, and then tease out specific elements from that episode that hold lessons for writers, gamers and anyone else interested in making better narratives. Nathan and Eppy discuss S1E16 Counter Gambit. Jim is hired by an unsavory acquaintance to find a woman, which he quickly realizes is a cover for some kind of valuable that this woman may or may not have with her. Once Jim does find her, however, the situation quickly becomes more complicated. This is a con game episode, and we really enjoyed the twists and turns of the con, and (as titled) the counter-con. Of particular delight is the first regular-season appearance of Angel Martin! If you can see this one cold, you should - there's a lot to appreciate once you know the story, but the layers of misdirection are deftly handled and worth experiencing at full effect, if possible! Nathan and Eppy cover our second two-parter episode, a Season Three gem featuring notable character actor Strother Martin as the titular T.T. Flowers, an elderly farmer who refuses to sell his land to a predatory real estate developer. Through a scheme involving his shady son-in-law and an ethically bankrupt psychiatrist, T.T. is hauled off against his will to a mental institution; but Rocky knows that something isn't right. Once he get Jim on the case, it's just a matter of time until he starts to uncover the scheme, but he faces numerous attempts on his life as he tries to find some hard evidence to prove the wild conspiracy. With a genius framing device that unites both episodes as one story, great performances all around and some great action sequences, we really enjoyed this one. Recommended! Nathan and Eppy talk about S2E22 A Bad Deal in the Valley. After an old girlfriend saddles Jim with a briefcase full of counterfeit cash, he has to figure out what her con is before the Feds get to him... or her. A solid, but unremarkable episode overall that shares many threads with other others we've talked about so far. We feel like it's a great introduction to the Rockford Files vibe, but it doesn't do anything in particular better than any other episode. Nathan and Eppy discuss S6E10 The Big Cheese. Jim gets a phone call from a reporter friend telling him to expect something in the mail... just as he's murdered! He doesn't know what it is, but it's something that a crooked union boss wants to get ahold of. And when the package is finally delivered... well, it really "sharpens" the mystery (it's a wheel of cheese!). This is a remarkable episode in how it handles considerable back-and-forth tone shift between grittiness and humor - and it also reveals another emotional layer of the Jim Rockford character, as he reacts to the death of his friend Eddie. 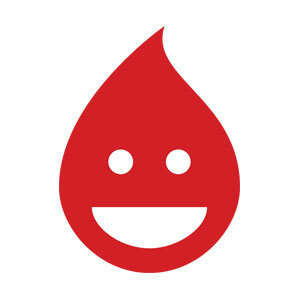 Quite recommended! Your hosts Nathan and Eppy have a short conversation about what's changed over the course of the podcast so far, what has surprised us about the show, and what we're thinking about for the future. It happens to be Thanksgiving, so we also take a moment to say thank you for listening. Thanks so much! To celebrate our 40th episode, Nathan and Eppy take a look at the second Rockford Files TV movie, 1995's A Blessing In Disguise. The premise is that Angel has become a televangelist preacher, so it's worth watching for that alone! Though padded out in some odd ways to our eyes, this movie really showcases how rock-solid Garner and Margolin are in their roles as Jim and Angel, no matter how much time has passed since the original show. Nathan and Eppy discuss S3E22 Dirty Money, Black Light. Rocky finally gets a break and wins a vacation in Hawaii - but once he's gone, starts receiving thousands of dollars in cash in the mail. Jim, worried that he's been tricked into a scam, has to hustle to figure out what's going on and why in this episode full to the brim with crooks, loan sharks, feds, Angel, Dennis AND Beth! One of the Stuart Margolin-directed episodes, there's so much packed into this episode that some of the threads are hard to follow, but many of the specific bits are really well done. Nathan and Eppy discuss S1E7 The Big Ripoff. Jim goes on a European jaunt to track down the truth about a widow who received a big insurance payout, but his client doesn't buy his conclusion that the husband is still alive. Trying to figure out a way to get paid for his work, Jim goes to the insurance company, leading him to yet another town in California to prove that Steve Nelson is still alive. We felt a very strong "back to basics" vibe with this episode, which features a fantastically tight script by series creator Roy Huggins, good humor, and a fun mystery that keeps the energy moving with each reveal of the NEXT thing that's going on. Nathan and Eppy discuss S4E14 The Attractive Nuisance. Rocky has started a road-side restaurant, but a mysterious figure keeps prowling around the place. Simultaneously, Jim is being threatened by a lawsuit from a guy who climbed onto his trailer to look at the interesting telescope that was up there. In trying to keep Rocky out of trouble and also track down why his roof was REALLY so interesting, both Rockfords are caught up in a knotty situation with roots in the Prohibition era mob/FBI conflict. Thankfully, a smooth Cannell script keeps watching this mess unfold entertaining and rewarding. Maybe an episode that actually is better the second time you watch it, but it has a lot of fun, noir-inspired characters, witty dialogue, and a strong set of motifs throughout that keep this messy mystery engaging. Nathan and Eppy discuss S4E9 The Mayor's Committee from Deer Lick Falls. A group of stand-up citizens from Deer Lick Falls, Michigan employ Jim to find them a firetruck, but of course that's just a cover for their real intent: hiring a hit man! Once Jim rejects their offer, he needs to find the niece who's the target and try to convince the various bureaucracies involved that these "black-belts in respectability" have murder on their mind. 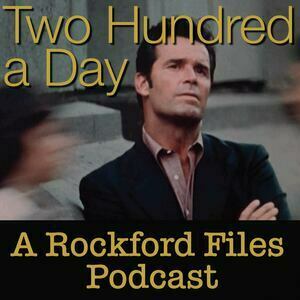 A memorable episode that approaches the Rockford Files formula from a skewed direction, we really liked this one, and not just for all of the connections to Eppy's childhood haunts!